Pursuit is a social impact organization that creates transformation where it’s needed most. 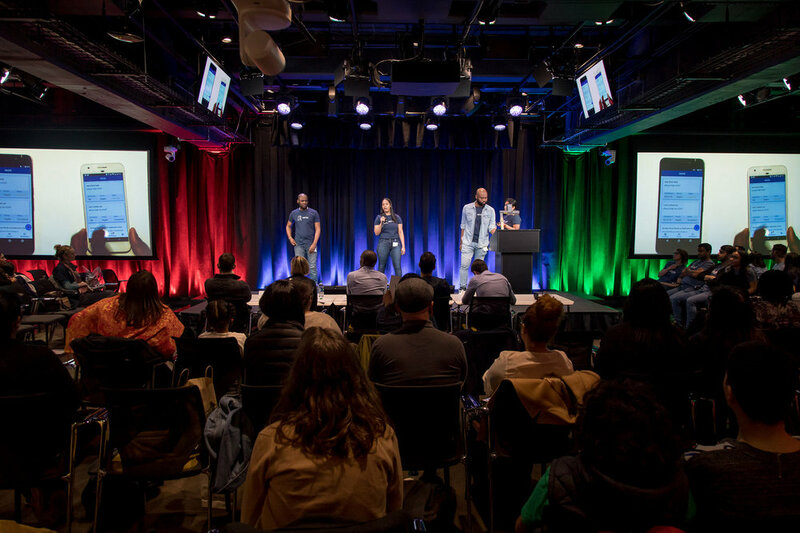 Through our four-year intensive program, we train adults with the most need and potential to get their first tech jobs, advance in their careers, and become the next generation of leaders in tech. Our graduates are hired by leading companies like Pinterest, Kickstarter, LinkedIn, BlackRock, and JPMorgan Chase, and increase their average annual salaries from $18,000 to over $85,000. In addition to providing training and career support, Pursuit’s innovative operating model combines partnerships with tech companies to retrain their blue-collar workers and social impact investments to re-envision funding for outcomes-based organizations. By connecting talent with opportunity, Pursuit empowers graduates to bring change to their families, tech companies, and communities across the nation. When we launched Pursuit back in 2011, we recognized the immense impact that technology was going to have on our society. The tech industry has created more wealth, more companies, and more jobs than ever before. At the same time, we saw that these opportunities weren’t reaching everyone—further deepening income inequality and increasing the economic divide. And so we set out to give talent the opportunity it deserves. We believed that a high school dropout working as a mechanic could become a programmer at a venture-backed startup. We believed that a single mom who worked during the days fulfilling shipments for a tech company could learn to code at night and then get rehired at the same company as an engineer. We believed that an Egyptian immigrant raised in public housing could raise $2 million in funding to launch his own tech company. We see potential in more than just diplomas and resumes. And we know that by empowering our students, they have the power to bring change home to their families, to their neighborhoods, and to the tech industry itself. Our innovative operating model combines partnerships with tech companies to retrain their blue-collar workers and social impact investments to re-envision funding for outcomes-based organizations. Our ‘One Big Team’ concept drives our work and impact. From staff to funders to Board members and volunteers, we are all aligned in our efforts to bring transformation to our community. Our core values guide our actions, unite our team, and define our organization. They are the fundamental beliefs of our organization and provide a foundation to build upon.